The Grand National 2016 will prove, as always, one of the most recognised races in the UK. Thousands flock to Merseyside each year for the three day-meeting, with the feature race coming on the Saturday in what is the most famous steeplechase anywhere in the world. A maximum of 40 runners will battle it out again this year around the Aintree course where the obstacles are much bigger than these horses will be used to jumping. Not only do they need to jump well but they also have to have the stamina to see out the 4m4f trip. The Last Samuri – Kim Bailey’s eight-year-old has been in terrific form this season with wins coming at Kempton and Doncaster on his last two starts. Since going chasing,The Last Samuri has won five of his eight races. On his last run at Doncaster he beat fellow Grand National contender The Druids Nephew by 10 lengths in the Grimthorpe Chase over 3m2f. 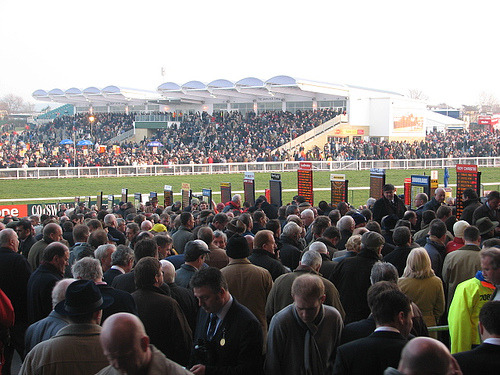 The Last Samuri is appearing as many people’s tips for the Grand National. Saint Are – Form around the Grand National course is ever so important when looking for the winner of the race. Tom George’s Saint Are finished second at Merseyside in the 4m4f contest and he was closing in on Many Clouds in the run in. He was unfortunate to find one too good for him on the day. Many Clouds has been penalised in the weights for his victory and will now have to carry top weight, whereas Saint Are has a lighter allocation than in 2015. This suggests he could have a big chance of going one spot better this year. Carlingford Lough – John Kiely’s charge put in a huge race in the Cheltenham Gold Cup at the Festival where he outran his starting price of 25/1 to finish fourth in the race won by Don Cossack. It has been a good season for Carlingford Lough, who won the Irish Gold Cup at Leopardstown. The 10-year-old finished that race on heavy ground better than any of his rivals. This is set to be his first attempt at the Grand National but a step up in trip could see a further improvement out of the horse so at 25/1 he looks a big price. Boston Bob – The chances of Boston Bob were given a huge boost when Champion Irish Jockey Ruby Walsh was confirmed to take up the ride on the horse this year. It has not been a great season for the Willie Mullins-trained horse although he did return to form recently at Fairyhouse when beating On His Own in a close finish to the Bobbyjo Chase. At the age of 11, Boston Bob has plenty of experience of jumping fences and could provide Walsh with his third success in this contest after Papillion and Hedgehunter who the Grand National in 2000 and 2005, respectively.